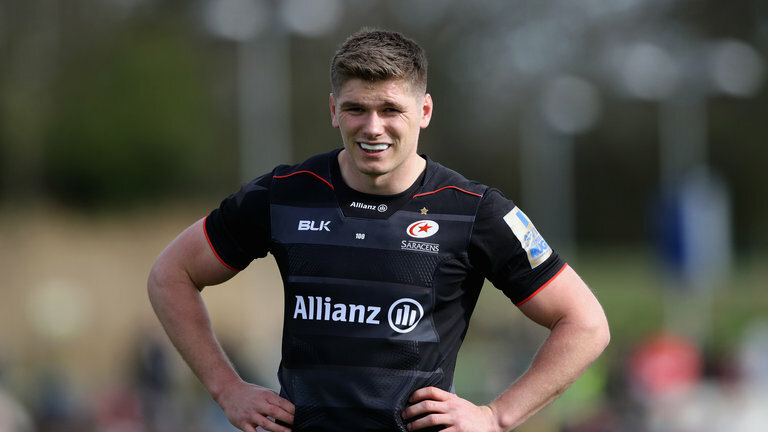 England international Owen Farrell was a late withdrawal from Saracens’ Champions Cup quarter final clash with Glasgow on Saturday, after his wife went into labour with their first child. His wife actually went into labour on the Friday night, with Farrell confident it would be all done and dusted by Saturday morning allowing him to take his place in the starting line-up for their European clash. But come 2.30 on Saturday, 45 mins before kick-off, there was still no baby. But incredibly Farrell rang his boss to let him know the baby was imminently due and he was hoping he’d make the match in time to at least take a spot on the bench. “He phoned me at 2.30 and said ‘in the next half hour’…,” Saracens boss Mark McCall told BBC. In the end Farrell didn’t make it, but it didn’t make much difference as Sarries ran out 56-27 winners.